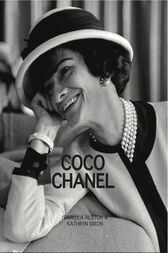 Coco Chanel, without question probably the most famous fashion designer of all time, was named by Time magazine one of the 100 most influential people of the 20th century. Her life was filled with trauma, romance, intrigue, and scandal, but her business acumen and groundbreaking talent (along with funding by her paramours) took her far beyond her humble beginnings. Chanel understood how to get what she wanted from life and never hesitated to pursue the grandest of visions. Her designs broke numerous barriers, and her influence on style and aesthetic forever changed the world, especially for women. Womens liberation took a major step forward when Chanel made it acceptable and stylish for women to throw away their corsets and pull on pants! Moving beyond tangible style to the intangible, Chanel broke new ground when she introduced her own scent, N°5. She was the first designer to do so. Today most fashion houses have their own fragrance line, but it was Chanel who started the trend. This was but one of many trendsnow considered classicsthat were born of Chanels brilliant design mien: ropes of pearls, cardigans, jewelry cuffs, slinky jersey fabric, and more. Vive la Chanel!